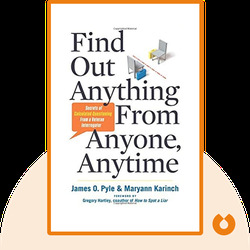 Find Out Anything From Anyone, Anytime (2014) is a guide to asking questions that will elicit the responses you seek. The authors draw on decades of experience to show that everyone – from teachers to journalists to doctors – can benefit from asking the right questions in the right way. James O. Pyle is a veteran interrogator and intelligence-training instructor. He has worked for the Pentagon and the Defence Language Institute. 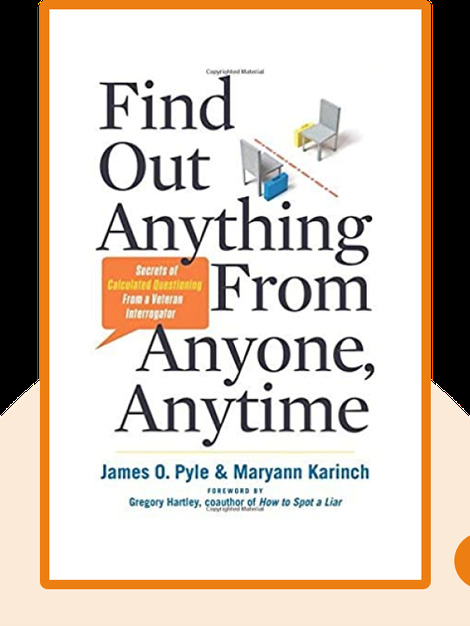 Maryann Karinch is a body language expert and author. Her 19 previous books include The Body Language Handbook and Get People To Do What You Want.